Located in the heart of the Main Line, our Ardmore location is in the Ardmore Farmers Market, nestled in beautiful Suburban Square. 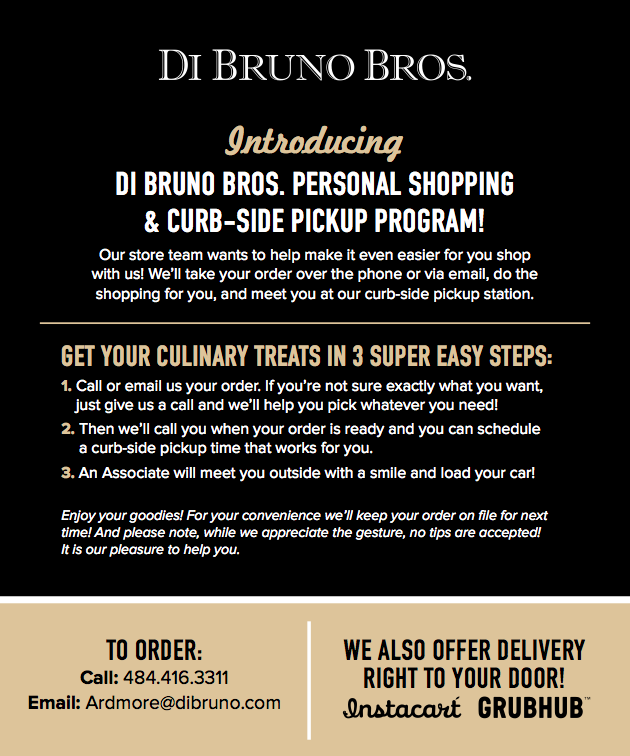 The Di Bruno Bros. location sprawls over half of the farmers market with a full selection of cheese, selections of fresh pasta, bread, nonperishables, antipasti bar, and a full prepared foods section with hot and cold sandwiches. Want something delivered? 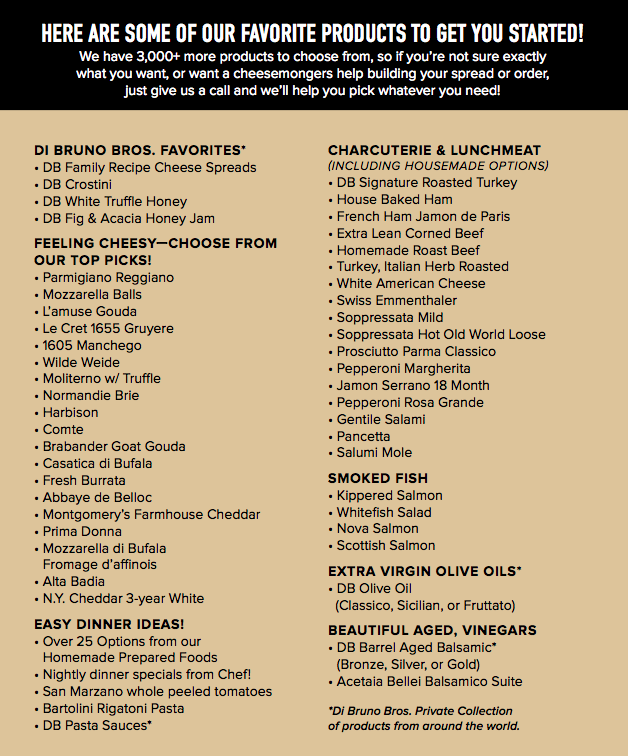 Order via GrubHub or enjoy $5 off via CAVIAR with code DBARD5. Once you’re done exploring the farmers market, catch a movie at the Bryn Mawr Film Institute, catch at show at People’s Light theatre in Malvern, or take a scenic drive and visit the beautiful Longwood Gardens in Kennett Square. Stop by and chat with our mongers, and be sure to sample something new! Whether it’s homemade soups, sandwiches, wraps, or salads, there’s something delicious waiting for you in Ardmore. 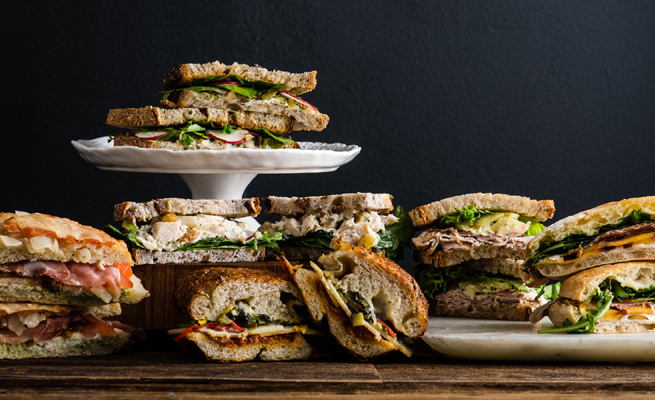 Freshen up your lunch hour with expertly concocted sandwich specials! 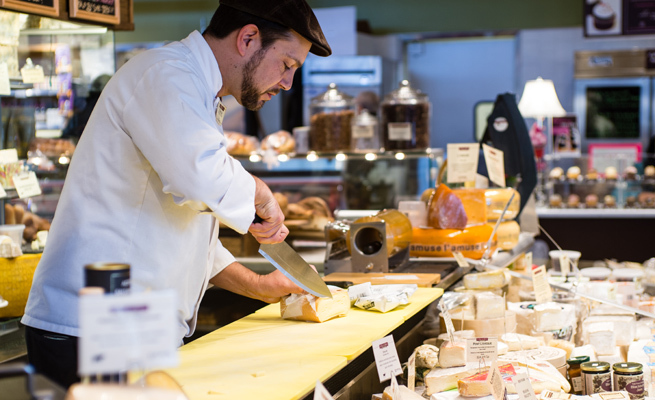 Seasonal ingredients, the finest meats, and inventive aiolis will brighten your day and put a spring in your step! Fresh radishes, watercress, forest mushrooms, fig jam, almond aioli are just some of the mouth-watering delights making their way onto our crunchy artisinal breads.